I am tired of praying in spaces where only men are allowed. I am tired of the fact that women are always either behind us, in a much smaller designated space, or to the side of us, once again in a much smaller designated space and of course, with a barrier separating us. I do not like the fact that I have a much bigger space than the women inside of mosques. I do not like the fact that I have easy access to the Imam once the prayer is finished, and that I can pray directly behind him, just because I am a man. I do not like the fact that I can enjoy the main prayer hall of a mosque, just because I am a man. I do not like the fact that because I am man, I am restricted to only sharing Islam with men. I do not like the fact that the mosque around the corner from my home is only for men. I do not like the fact that because I am a man, I am a prisoner of an imposed “brotherhood”. Brotherhood is cool, but it is time for brotherhood and sisterhood to come together, and create humanhood. How would I feel If i was denied access to some mosques? How would I feel, If my prayer space was much smaller than the mens? How would I feel, If i had to pray behind a barrier? How would I feel, if i was not allowed to be an Imam? How would I feel, If i was not allowed to call the Adhan, or recite the Qur’an? How would I feel, if i was told that attending the obligatory friday prayer was not obligatory for me? But hey, I don’t have to feel this, because I am man, and being a man comes with certain advantages and privileges. Lets just say that my spiritual experience as a muslim is endless. It has no boundaries, just because I am man. And they want me to believe that this is Divine. These facts have nothing to do with the God that I believe in. The God that I believe in is a just God. The God that I believe in never limited the spirituality of women. The God I believe does not have a preference towards me simply because I am a man. Every time I am in a mosque to pray, I can never appreciate my prayer as much I wish that I could because I am only praying next to other men. I can never enjoy my mosque experience as much as I should because my mosque experience is only experienced alongside other men. Something deep inside me instinctively tells me that this is wrong. My feeling is backed up by the Qur’an, which states that all human beings are equals. Why are we so far removed from Qur’an’s message, the message that states that the most honorable people in the eyes of God are those who are the most righteous? Allah does not look at our outer forms, he only looks into our hearts and souls. Yet, we Muslims are looking at each other’s outer forms, and this is causing the separation. We should see each other in the same way that Allah sees us. Islam gives us so much unity, but we are splitting up ourselves. Humanhood is the key to world peace, and Islam has that key. Imagine a world where women and men prayed side by side, worshipped the one true God side by side, and shared the endless and infinite bond of the soul? Where would the room for the oppression of women come in then? How can you oppress the very same women that you pray next to, that you hope with, that you dream with, that you care for, because they are your sisters in spirit? Not only that. The exchange of ideas, thoughts, and emotions between sisters and brothers would lead to a human revolution, that would truly put us on the path to a better world. Solidarity and unity between men and women is the only way forward for this world. And I don’t mean superficial solidarity and unity. No, i mean the deepest kind of unity, and that is the unity of the heart and soul, bound together by belief in Allah. I have said it before and I will say it again, I would literally live in mosques if they had no gender segregation. They would be the most beautiful places on earth, because in no other place in my lifetime have I personally experienced such a depth of human unity than I have in mosques. Most of my muslim friends are sisters and I love them dearly but when we enter a mosque, then we are forced to go our separate ways. But my heart will never accept separation based on gender. I have love for every human being, and I want to share this love with all, not just men. So, I refuse to be a prisoner of my own gender. The struggle for unity within the Ummah. Ibn Arabi ‎(25 July 1165 – 8 November 1240) was an Andalusian Sufi mystic and philosopher. 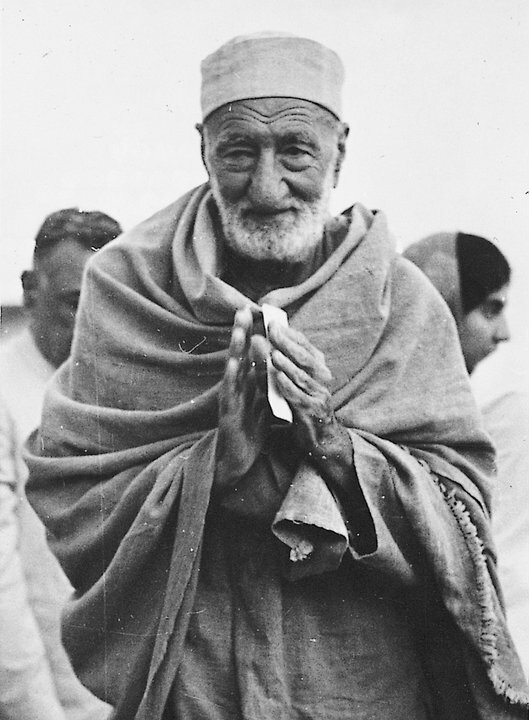 He is renowned by some practitioners of Sufism as “the greatest master” and also as a genuine saint. Ibn ‘Arabî bestows upon Bilqis (Queen of Sheba) the rank of Faqiha. When she surrendered to Islam, she did not become a follower of Solomon, nor did she submit to his guidance. Rather, she remained free in her belief from following an envoy or an imam, free from intermediaries. She revealed that she possessed direct belief in God, exactly like that of the Envoys, when she said: “I submit with Solomon to Allah, Lord of the universes,” in contrast to the Pharaoh who said: “the Lord of Moses and Aaron”. This is an interview that Dr. Wadud did during her visit to the Nordic Forum in the Swedish city of Malmö in June 2014. The interview was conducted by “Feministiskt Perspektiv”, a Swedish magazine. The original interview is in Swedish, and so I translated it to English. Amina Wadud became world famous in 2005 when she led both men and women in prayer in New York. She is an Islamic scholar that has produced women and LGBTQ-friendly Qur’anic interpretations. Bella Frank met her during the Nordic Forum in Malmö. The words are Dr. Amina Wadud’s. She is an Islamologist and Islamic feminist and last summer she visited Malmö during the Nordic Forum. 20 years ago, she became the first woman to hold a Muslim sermon, known as a khutbah, for both men and women in South Africa. She is a role model for Muslim feminists and feminists from other faiths who see no contradiction between religion and gender, and she has spent decades producing new readings of the Qur’an and has literally pushed forward the position of women in Islam. Amina Wadud became known to a wider audience in 2005 when she led both men and women in prayer in New York, which came to be discussed among Muslims and Muslim scholars worldwide. Many called her act anti-Islamic and profane, such as Sheikh Yusuf al-Qaradawi. But she was also supported by others as Gamal al-Banna, the younger brother of the Muslim Brotherhood founder, who argued that her act was supported by Islamic texts and sources. And many Muslims see her as a role model, as can be seen in the book A Jihad for Justice – Honoring The Work and Life of Amina Wadud in which 33 writers, academics, activists and others have expressed the importance that her work has had on their lives. Her personal reading of the Koran developed gradually. She became a Muslim in 1972, earned a doctorate in Arabic and Islamology in the late 1980s and studied at al-Azhar University in Egypt. She then got a post at the International Islamic University of Malaysia and it was there, during meetings with “Sisters In Islam”, that questions were raised about the role of women, especially pertaining to the Islamic rituals : For example, what did Islam say about where women inside a mosque should pray? The main question in her first book entitled the Qur’an and Woman, which was released in 1992, was simply whether it mattered if the Qur’an was read from women’s perspective. The conclusion : Yes it does. “However, if the principal architects of it happen to be male, it means that the way they interpret texts will include a privileged spirit of their experience of the text, their thoughts and ways of being. To add a gender inclusive reading also means that what we believe is the primary source can no longer be taken for granted – because of human effort to understand it. It is a human effort to understand it, the effort is not divine, yet the conclusions drawn have been given divine sanction,” she says. She explains that her driving force behind her Qur’anic studies was her love of the Qur’an, its language, and a willingness to understand. So she therefore studied first “tafsir”, interpretation. So the focus is on understanding the Qur’an and not in the areas that are closely related with Islam, such as law and culture. But Amina Wadud realized that she could not stop at merely reading the Qur’an, and the need to move from interpretation to the application became increasingly clear. However, a step that could have appeared as a logical extension of the thoughts of the application, namely that she as a woman also participate in the rituals that usually have been reserved for learned men, was not a planned decision. The first time it happened was eleven years before the acclaimed prayer in New York during a lecture tour in South Africa. Just 45 minutes before it was time for the friday prayer, she was asked to speak and to give a so-called khutbah at the Claremont Main Road Mosque in Cape Town. It was an event that led to much debate around the world, but instead of participating in these debates she devoted the next decade to intellectual and spiritual studies, where she contemplated within herself and asked questions about what it meant both for herself but also for Islam and for other Muslims. “It took eleven years before I would again agree to not only keep preaching but also lead the prayer, and do so a very public way,” says Amina Wadud. One of the questions she wrestled with is that in Islam, prayers are directly between the believer and God without any intermediaries. So why does it then matter where men and women stand in the mosque? Why is it important that a woman can lead the prayer when she is still able to communicate with God directly? The answer that Amina Wadud arrived at is that an important part of Islam is its collective rituals, and that the leadership roles of these rituals had been wrongly been assigned men. “This has no basis in the Qur’an,” she says. When she led the prayer at the Synod House in New York in 2005, it was to bind together the inner and spiritual aspects with the public and political external aspects. Although it is still very rare for a woman to lead men and women of prayer – it happens, but mostly in the smaller circles of reformist Muslims – something has fundamentally changed. “Now everyone is talking about it, everyone. Even if they only speak about it to say that they disagree with it. In other words, it can no longer be ignored, and for me it is a very big milestone that one can no longer ignore that it exists and it is great,” she says emphatically. In the book “Inside the Gender Jihad” in 2006, she writes about her experiences as a black woman and a Muslim working as an academic in universities in the American South, and the experience of growing up as a poor black girl and the struggle for social justice which she inherited by her father who was Methodist pastor. For Amina Wadud, Islam is a fight for social justice and she has described her long work with Islam, justice and gender as being closely linked to her father. It is now more than half a century ago that he took her to what would become a defining moment for her, and for the struggle for social justice. The year was 1963, and the event was Martin Luther King’s march on Washington. “It was a pivotal moment for me. It was hot and we stood at a monument where there was no shade to shelter us from the sun and people kept coming up on the stage to make speeches, and as a child I did not understand what it was they were talking about. Amina Wadud’s work with a gender inclusive reading of the Qur’an has also inspired other groups of Muslims to initiate readings based on other issues of sexual orientation, such as queer and LGBT. Amongst others we have Scott Siraj al-Haqq Kugle, who has written the books Homosexuality in Islam and Living Out Islam, and groups like the El-Tawhid Juma Circle in Canada. This implies a questioning of dichotomies previously presented as self-evident and where fundamental choices have been explicit. The choice between being a feminist and a Muslim, the choice between Islam and human rights or the choice between being gay and being Muslim. The alternative to such dichotomies are what she calls radical pluralism and horizontal reciprocity. Radical pluralism is all about praising diversity and equality at the same time, and also about breaking privileges : privileges that have to do with gender, race, class or ethnicity. “We must be willing to understand that until the playing field is equalized, those who have privileges must accept that they have them, and then stay away from them,” she says.